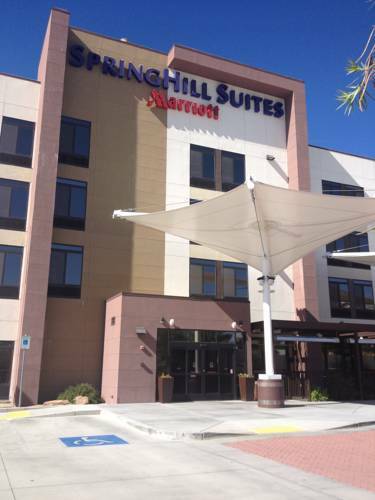 Welcome to SpringHill Suites by Marriott in Kingman, Arizona. Located in the heart of Rt. 66. Kingman's rich history and central position in the Western end of the country make it the perfect destination to stop and relax or even get your work done before that deadline. While staying in Kingman, visit the Grand Canyon-West and walk the sky on The Skywalk. Kingman is easily accessible to Oatman, Mining and Ghost Town, featuring: Shopping, Museums, Old West Gun Shows, and yes, even Wild Burrows roaming the streets. The Hualapai Mountains provides its visitors with terrific Hiking Trails, scenic Picnic Areas, and The Lodge with a wonderful Gourmet Restaurant. Whether you are looking to experience the exhilarating Grand Canyon Skywalk or just wish to learn more about Kingman's abundant history, The SpringHill Suites by Marriott will provide you with everything you need. Complimentary Breakfast, Free high-speed Internet Access, warm and friendly staff and much, much more.